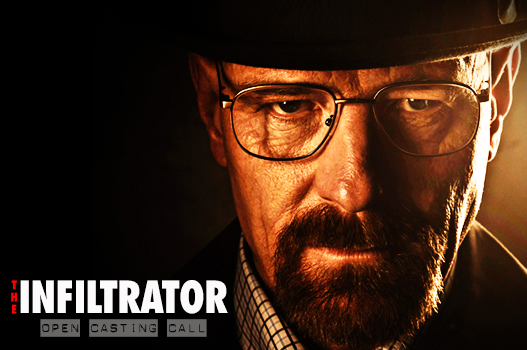 Bryan Cranston’s upcoming feature film, The Infiltrator, is set to start filming in Tampa, Florida. And in the next days, casting directors will be holding an open casting call in the area for various roles. Based on the story of a Tampa Bay resident, the film will center on the life of a former drug enforcement administration agent named Robert Mazur. It will feature his story, when he posed as a Tampa businessman to help bring down an international financial institution that laundered millions of dollars for the Columbian drug kingpin Pablo Escobar. Filming for some of the scenes will begin in late April 2015. Currently, they are looking for talents of all ages, genders, ethnicities, and body types, to fill in extra and stand-in roles. On April 11, 2015, Saturday, they will be holding an open casting call in Tampa Convention Center 333, S. Franklin St., Tampa, Florida. The event will start at 10 AM and run until 4 PM. Talents, who are of Columbian, Cuban, Nicaraguan, or Asian descent, should wear their traditional ethnic-heritage outfit. Otherwise, please arrive dressed in a “totally bangin’ 1980’s outfit”, vintage look, or your best upscale look. Men can wear leisure suits, muscle t-shirts, silk shirts, stonewashed jeans, or magnum P.I. mustaches. Women can wear pants/capris/sundresses, big earrings, track suits, shoulder pads, animal prints, stonewashed jeans, or big “full” hair. During the open call audition, casting directors will be taking your photo. So, please come prepared. Also, be sure you know all your sizes, including your neck collar, inseam, waist, dress size, height, and weight. They are specifically looking for experienced stand-ins to work throughout the film. If interested, please bring your resume and headshot. Also, they are looking for talents, regardless of ethnicity, to play extras.